Synopsis: Retro and handheld enthusiasts alike will appreciate this review as Sega is taking me back to the nineties with a review copy of Sonic Classic Collection. This title includes the complete original Sonic the Hedgehog adventures on one cartridge, showing the new generation of gamers to the revolutionary for its time classic franchise that had originally appeared on the Sega Genesis. New to the handheld experience in comparison to dusting off the Genesis is a new save feature, allowing the player to save their progress at any time while playing Sonic the Hedgehog and Sonic the Hedgehog 2. 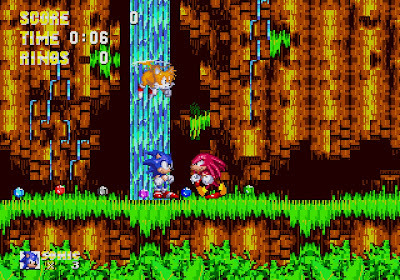 Another new ability is the option to play as Knuckles the Echidna in Sonic 2 and 3. With much ado, on with the review. Praise: With remaking classic titles, it is hard to expect anything more than what you remember from the original, and Sega kept true with the series, by bringing back memories of hours spent with Sonic, Tails, Knuckles, Dr. Robotnik, and the beloved Green Hill Zone. With the four titles brought back in one cartridge, it is easy to play through the series from start to finish in the nostalgic worlds and levels, and the result being large amounts of replay value. 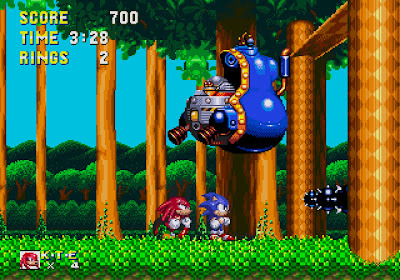 Being able to play as Knuckles in Sonic 2 and 3 is a welcome and new way to play through the classics, while bringing in fresh controls to the old environments. The biggest new feature in my opinion has got to be the ability to save on the fly, for when you only have a few minutes to play or when the flight attendant demands you turn off all electronics until they say otherwise. 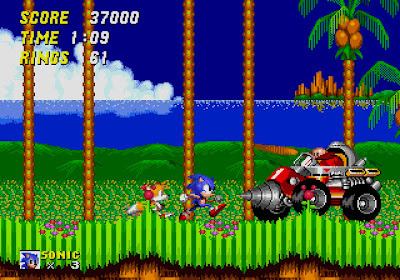 Gripes: The downside to remaking a retro title is the outdated graphics and gameplay, which it seems to affect all playable games on this cartridge, especially Sonic and Sonic 2. When I got to points that were familiar and a lot of movement was happening on the screen at once, the gameplay got noticeably choppy and experienced slowdown. Another thing that would have been nice to see in the Classic Collection would have to be some sort of graphical enhancement as these look exactly how they did years ago on the Genesis and seems like they pulled the previous games from their archives, threw them on a cartridge, and put them on store shelves. Overall, this is a lot of fun to play as all of the previous worlds and levels you had once mastered, quickly come back to you and let’s face it, the original Sonic titles were good clean fun. 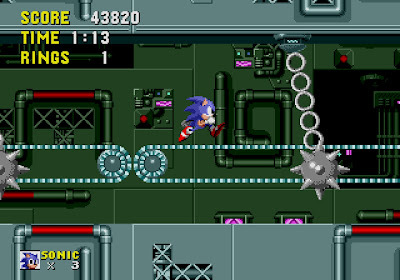 Whether you grew up on the original games, or are new to the Sonic classics, it is entertaining to play through one of the biggest franchises the helped get video games where they are today. Mashbuttons.com gives Sonic Classic Collection an 8 out of 10. 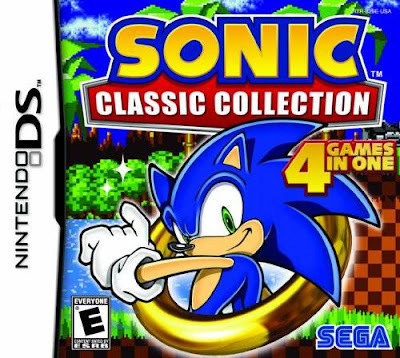 Sonic Classic Collection is available now for the Nintendo DS.